According to the International Orality Network, 80% of people in the world don’t understand God’s Word when it’s delivered to them by literate means because they’re oral preference learners. 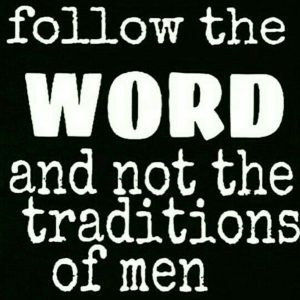 Even in literate cultures, many people won’t read God’s Word, or prefer oral ways of connecting with God’s Word. Strangely, even though most local churches are comprised of people who favour listening to the Word, the chosen approach is to ask people to read the Word. In a world that depends largely on verbal communications, shouldn’t the primary approach to Bible engagement be oral? Before people connected with the Bible as a book that was read, the Bible was shared from mouth to ear (2 Peter 1:21). For centuries most people heard it. Maybe that’s why 80% of the Bible is narrative. God gave us a Story composed of many stories because stories are well suited for people who favour speaking and listening. Interestingly, on the occasions when the Bible mentions the Scriptures being read, the greater context is usually about people listening attentively (e.g. Nehemiah 8:3, 2 Kings 23:2). In fact when reading and listening are compared, there are far more texts that speak about listening than about reading (e.g. Psalm 85:8, Matthew 7:24, Luke 11:28, John 8:47, Romans 10:17, Hebrews 2:1). I’m a prolific reader and love writing. That makes me different to most people. When it comes to Bible engagement, I don’t assume that others will enjoy reading the Bible like I do. Unfortunately, the readers and writers of the world, in large part, haven’t seen it this way. Since Gutenberg’s Press started printing Bibles, reading has been the go to means for Bible engagement. To see literacy as somehow superior to orality is problematic. Speaking and listening is ingrained in us. Even in the most literate cultures, orality is an enormous and inescapable part of human life. We should therefore see orality for what it is, and make the best use of it for Jesus and His kingdom. 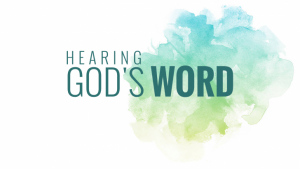 Promoting an emphasis on listening to the Word is not suggesting that reading the Word should be dismissed. But it is an acknowledgement that reading, in and of itself, isn’t the holy grail of Bible engagement. The reality is there are many people who have difficulty with reading, or dislike reading. Equipping them to listen to the Word is an expression of love and common sense. We should meet people where they are, not expect them to meet us where we are. So if you tend to equate Bible engagement with Bible reading, it’s time to change your outlook. Bible engagement is multi-faceted. 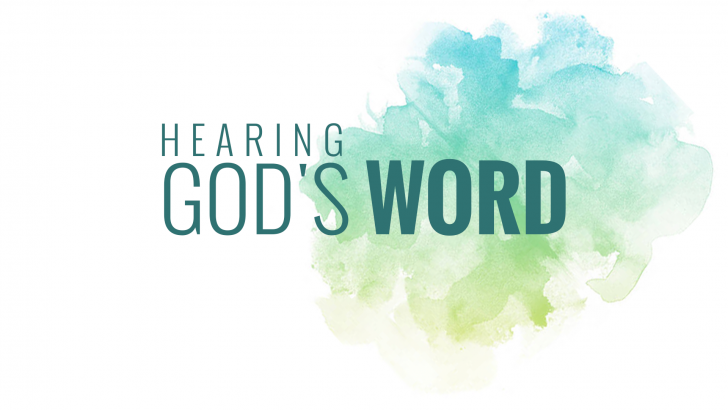 In a world where most people are oral preference learners, we should focus on helping people effectively listen to the Word in ways that edify, inform and inspire them to live for Jesus. Categories: Interaction | Tags: Bible engagement, Bible engagement blog, Hearing the Word, Listening to the Word, Orality, Post-literate, Pre-literate, Secondary orality | Permalink. 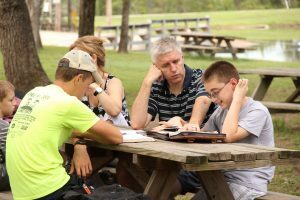 According to the REVEAL Spiritual Life Survey conducted by Willow Creek, only one in five churchgoers in the USA says their church offers in-depth Bible engagement. While I’m unaware of similar studies in other parts of the world, I strongly suspect that training and equipping congregations to read, reflect, remember, and respond to God’s Word is desperately needed in most churches. To make church Bible engagement stronger people must be taught the practical basics of interpreting, contemplating, journaling, studying, memorising, praying and obeying God’s Word. Pastors, preaching about the importance of Bible engagement isn’t enough. Your congregations need seminars and workshops where they can learn the essential practices (activities or methods) of Bible engagement. Vigorous churches don’t just happen, they have to be nurtured. 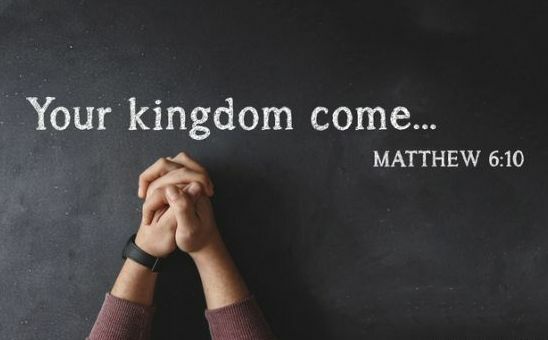 To attain kingdom outcomes, we’ve got to concentrate on the things that under-gird long-term change. Do we want people to thirst for Jesus more, know Him more, contemplate Him more, magnify Him more, love Him more, and serve Him more? If we do, we’ve got to help them get into God’s Word so that God’s Word gets into them! Pastors who don’t get it. There are many reasons why pastors don’t prioritise Bible engagement. Some are traditionalists – more concerned with maintaining the liturgy or customs of the church. Others are liberal or progressive – more concerned with promoting values such as compassion, justice, mercy, and tolerance, often through political activism. Others are legalists – more concerned with right behaviour or morality. Others are denominationally inclined – more concerned with upholding the systems and distinctives of their group. And others are dismissive, unaware, or blind to the vital role that Bible engagement plays in the health and growth of the church. People who don’t want it. Tragically, there are many people in the church who want a Bible that starts and ends with “me.” But the Bible doesn’t start and end with “me.” It starts and ends with “Him.” We’re not the primary theme of the Bible, Jesus is. People don’t want Bible engagement because they don’t want Jesus. What they want is good morals, religion that helps them feel good, and a God who is more a concept. This is Moralistic Therapeutic Deism (MTD). MTD is at odds with Bible engagement. Principalities that oppose it. The rulers and powers of this dark world are diametrically opposed to the Bible being unleashed in the church. They have everything to lose when God’s Word is preeminent. Satan and his demons lie, confuse, confound, disrupt and generally do whatever they can to destroy every connection with the Bible. “For our struggle is not against flesh and blood, but against the rulers, against the authorities, against the powers of this dark world and against the spiritual forces of evil in the heavenly realms” Ephesians 6:12. Pray earnestly. Bible engagement will only advance when we persistently call on God to renew the church and restore the preeminence of His Word. Pursue Jesus. We must look to Jesus for our help and strength. Apart from Him we can do nothing to advance Bible engagement (John 15:5). Proclaim truth. The entrance of God’s Word gives light (Psalm 119:130). 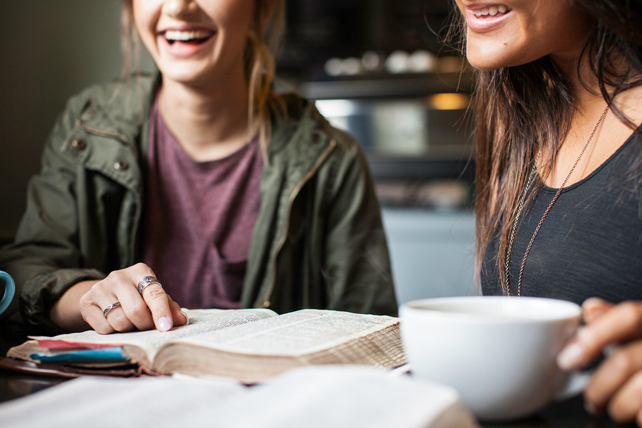 Bible engagement is strengthened when we explore and have conversations together about the Bible. That’s not to say we simply need to do these three things and the Bible will be unleashed overnight. Far from it! The church didn’t get in the mess it’s in through a few years of slippage. The decline in Bible engagement (in the West) has been happening for a long time. We need to be in it for the long-haul to get to where we need to go. Yes, persistence and unwavering faith is required to overcome the obstacles hindering the unleashing of the Bible in the church. But that’s just our part in it. The good news is that Jesus wants His Word to run free. So as we co-labour with Him, we can be assured that at the appointed time, He’ll restore and unleash His Word in the church. 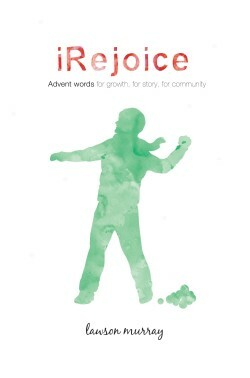 Categories: Interaction | Tags: Bible engagement in the church, Unleashing the Bible | Permalink. When Bible reading is strictly about gaining facts, studying the history of Israel, enjoying the stories, learning about how to behave, just reading it, or looking for guidance for one’s life, the outcome, at best, is that we get to be informed. But God didn’t give us His Word to inform us. God gave us His Word to form and transform us. 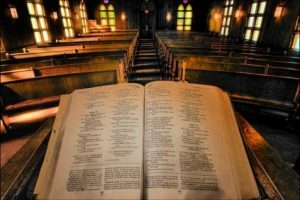 A person can know all the stories, recite the ten commandments, say the Lord’s Prayer, hear the Gospels read every week in church, and even read the Bible personally every day – yet not engage with the Bible. That’s because God didn’t give us the Bible to tell us about Him. He gave us the Bible so that we would meet with Him and be forever changed by the encounter. Bible engagement is Jesus engagement. Bible engagement is entering into the Word to get together with the One who is the Word. When we meet the One who is the Word, something radical and life-changing happens. Bible engagement always rocks our socks off! That’s because Bible engagement is getting up close and personal with the One who was dead and is now alive for ever and ever! 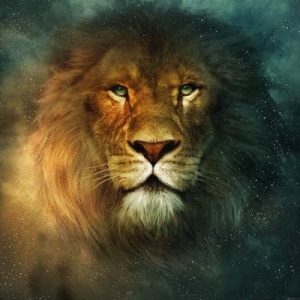 (Revelation 1:18). Bible engagement isn’t for the faint of heart. When we engage with the Bible, we’re not safe! Bible engagement will turn us upside down and inside out. Now why do I say that? Because Bible reading per se is about us taking control of the text. When we take control of the text, we’re safe. But Bible engagement is about the text taking control of us. And when the Bible’s in control things happen that are out of our control. There should be a warning on the front cover of every Bible – “Dangerous Contents!” Unlike other books “the word of God is alive and active” Hebrews 4:12. When we correctly engage with the Bible, the Word will read us! And when the Word reads us, we must watch out! Anything can happen (according to God’s will). And what will definitely happen is you’ll feel constrained to worship Him with every ounce of your strength, trust Him with your heart, give Him your mind, and live wholly and only for Him until the day you die. Is Bible engagement risky? Absolutely! Bible engagement, correctly undertaken, is always hazardous. But, (to borrow a concept from C. S. Lewis) while Bible engagement isn’t safe, it’s always good! Categories: Interaction | Tags: Bible engagement, Bible reading, Bible reading vs Bible engagement | Permalink. 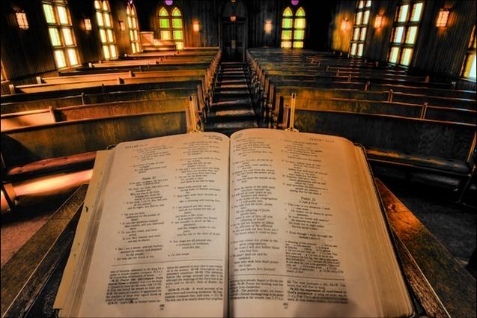 I’ve attended many local churches in the course of my Christian life, yet I’ve never attended a church where the members of the congregation are taught how to read, reflect, remember and respond to God’s Word. That’s alarming, isn’t it? Especially when comprehensive research reveals that reading and reflecting on God’s Word is the primary factor in our personal and congregational spiritual health and growth. One would think that teaching Bible engagement would be something that every pastor would regularly do with his/her congregation. But they usually don’t. The average Christian in the average church has never been practically coached in how to contemplate, pray, synthesize, analyze, meditate, study, interpret, imagine, listen, memorize, journal, sing, or apply God’s Word. Looking back to when I used to be a pastor, I confess that I didn’t teach Bible engagement. Why? Because I didn’t identified it as a priority, and because my focus was generally on preaching, counselling, and organizing the ministry of the church. Hindsight is 20/20. If I ever pastor a congregation again, I’d do a lot of things differently. One thing I’d definitely do would be to teach everyone how to engage with the Bible. This not because my existing ministry involves advocating for Bible engagement, but because I’m convinced that the single most helpful thing a pastor can do for a congregation is to facilitate encounters with Jesus in and through His Word. One of the things pastors need to guard against is good things becoming the enemy of what’s best. Yes, it’s good to preach and teach God’s Word. But when preaching and teaching cultivates spiritual dependence on a pastor, and not a reliance on God’s Word, then the good’s become the enemy of what’s best. American preacher Francis Chan says, “Church is the way it is because we led them here.” Pastors, maybe it’s time to change up what you’re doing. How can you help your congregation develop the skills to correctly handle the word of truth (cf. 2 Timothy 2:15)? And what would it take for you to enable every person in your congregation (young and old) to connect regularly and effectively with God’s Word? Most pastors would probably agree that a large group of people in their church are spiritual infants. Mature believers are sometimes few and far between. Even though solid biblical teaching may exist in a church, a congregation often reaches a spiritual plateau beyond which they don’t grow. So to help people grow spiritually, we often invite them to join a mid-week small group. Mid-week small groups play a part in helping people engage with the Bible. But mid-week small groups aren’t enough. People can attend a small group and still lack the personal skills required for effective reading, reflecting, remembering and responding to God’s Word. That’s because studying God’s Word with others isn’t the same as developing an individual’s capacity to meet with God daily in the Word. All this to suggest that pastors should never assume, as I did, that if people in a congregation simply know how to read (or listen) and are given a Bible reading plan or guide, then that’s all they need to get into God’s Word. Bible engagement, the type that builds mature believers, requires much more than an ability to read/listen. So pastors, if you’re serious about your calling “to equip his people for works of service, so that the body of Christ may be built up” (Ephesians 4:12), please make teaching Bible engagement one of your top priorities. Categories: Encounter, Interaction | Tags: Teaching Bible engagement | Permalink. Kids Can Read The Bible Too! 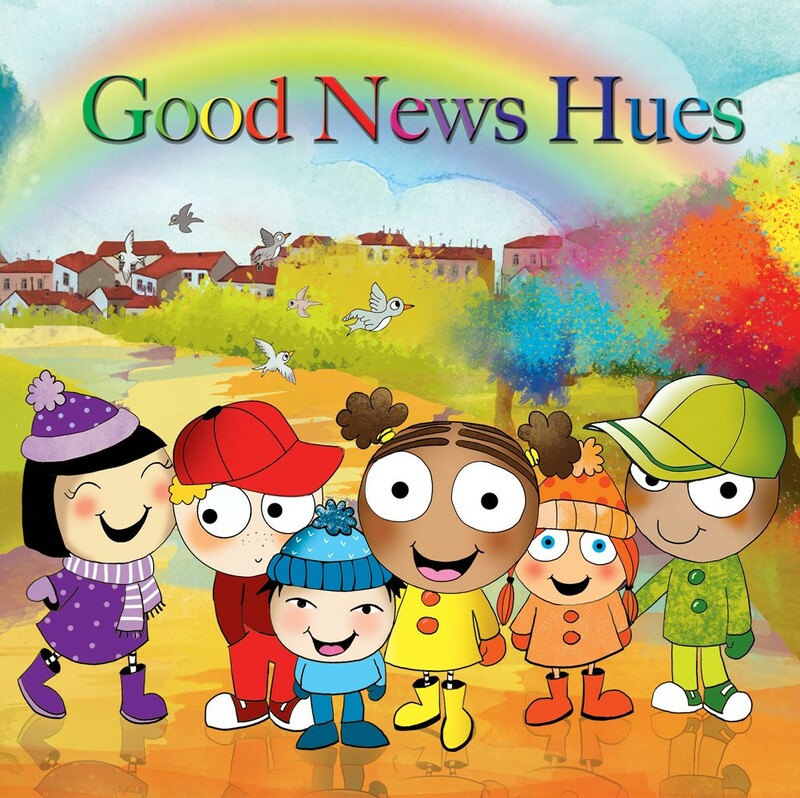 Amy Csoke, a colleague at Scripture Union, recently entitled one of her workshops, “Kids Can Read the Bible Too!” It’s a great title and I’m hoping it catches the attention of Christian parents and teachers who want to help children read God’s Word. We must read the Bible focused on Jesus. The principal reason why we read the Bible should be to know the One of whom it speaks (cf. Luke 24:27, John 5:39-40). Bible reading should connect children with Jesus as King so that they see themselves as citizens in His kingdom. 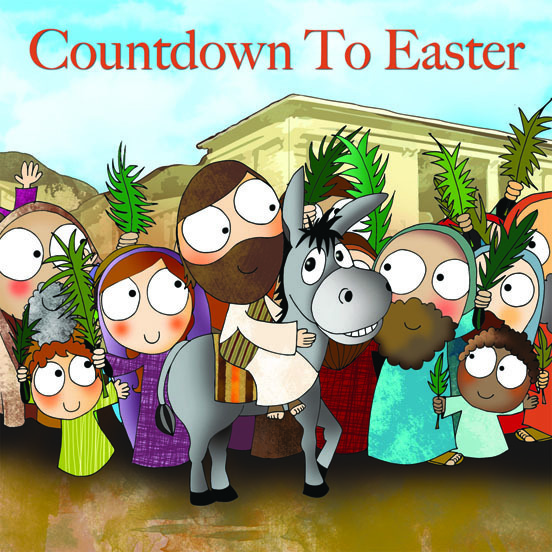 “Our goal must be for kids to catch this rock-their-world vision of Jesus,” says author Jack Klumpenhower. So Bible reading should never major on gathering information or knowledge, developing biblical literacy, teaching Christian morality, providing answers for pressing needs, or changing a child’s behaviour. The Bible is read according to its conditions and context, not ours. When children read the Bible, they can’t read it like they read other books. That’s because the Bible “is living and active” (Hebrews 4:12a) and as such, reads us. God’s Word isn’t like our words. In fact God’s Word has authority over our words and even “judges the thoughts and attitudes of [our hearts]” Hebrews 4:12d. Bible reading requires the reader to enter into the Story. Children can’t read the Bible at arm’s length. They’ve got to read it intimately and engagingly. That’s because the Bible is a spacious realm that invites us to actively come in with imagination and faith, and once we’ve entered, to be participants who get caught up in it by receiving and reenacting it. Sing it. 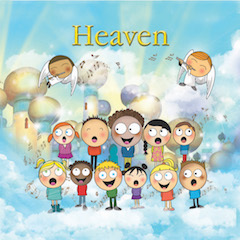 When children sing the Word, it brings their hearts “into alignment with God’s heart, with God’s ways, with God’s plans, and with God’s personality,” says Stuart Greaves from the International House of Prayer. Draw it. Artistic reflection is a powerful way to focus attention on the text because it’s a process that provides creative space for children to linger in the Word. Using water-colours, stencils, markers, sharpies, crayons and such are tools that enable children to surmount spiritual, intellectual or emotional obstacles and meet with God. Act it. Drama can grip, shape, move and inspire. Especially for children who learn by doing, acting out a story enables them to own it. Write it. Using a pen or pencil to write out a Scripture passage or verse allows a child to slow down and mull over the words or phrases. Pray it. The best prayers are those birthed, informed and sustained by the Word. Bible reading and prayer go together. To read right, children must pray the Word; and to pray right, children must read the Word. Memorize it. When God’s Word is learnt by heart, it reprograms the heart. And more. Scripture memorization draws a child more fully into the Story and builds confidence in reading, reflecting, remembering and responding to the Word. Question it. Asking questions, including tough ones, is an essential skill that every child should learn in order to interpret God’s Word. The six questions children must ask of the text is who, what, where, why, when and how. Enter it. 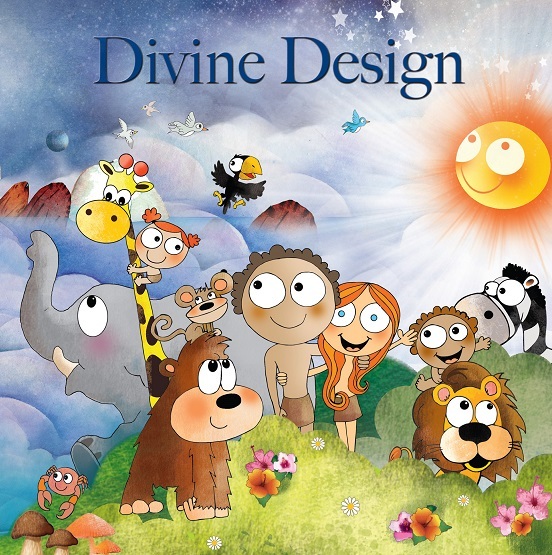 Children should be invited to penetrate a Bible story more holistically by picturing themselves as one of the characters in the story or by stepping into it through the use of sanctified imagination. And one more suggestion: We’re better together. 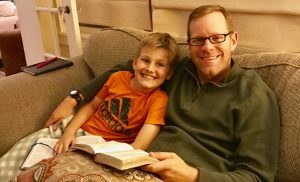 Yes, kids can read the Bible too, but they need you. According to the African proverb, “If you want to go far, go together.” Children need you to journey with them in their Bible reading so that when they require help, lack discipline, or get discouraged, you’re there to support and help them persevere. 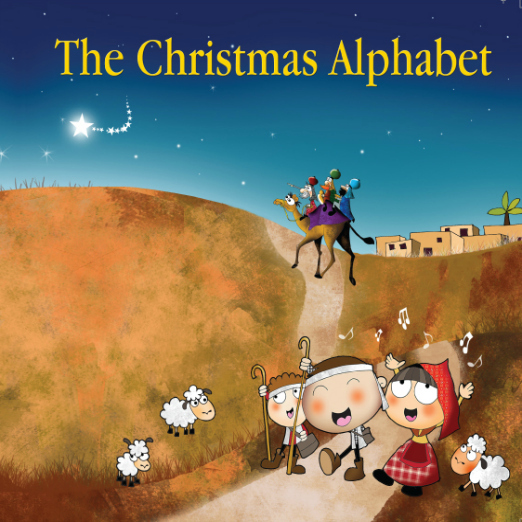 Categories: Interaction | Tags: Bible reading, Kids Bible reading | Permalink. To be radicalized is to become more drastic in one’s beliefs. It’s a term that’s commonly used today – usually with negative connotations. 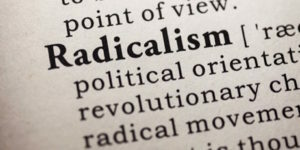 In the context of terrorism, a person is radicalized when they sever adherence to the values of society at large and commit themselves fully to the ideology of a terrorist organization like ISIS, Hamas or Al-Qaeda. Extreme change from an accepted form and absolute commitment to a new form is what Christian faith should be about. Unfortunately this isn’t usually true of most modern-day Christians. Rather than giving our total allegiance to Jesus Christ, we try to keep one foot in the world. For many Christians, the greater value is tolerance or accomodation, certainly not radicalization. Words like subversive, offensive, dangerous or radical are generally not in the average Christian’s vocabulary. There’s a disturbing disconnect between today’s Christianity and the faith of the Christians mentioned in the Bible. Acceptance and broadmindedness characterizes contemporary Christianity whereas first-century Christians were an offense to society because their allegiance to Christ undermined or threatened the existing views, habits, affairs, conditions, institutions and systems of the Roman world. Now linking radicalization with Jesus may be a transgression for some or puzzling for others, but, like it was in the first-century, it should be the reality for every Christian today. That’s because Jesus doesn’t call us to a partial dedication or limited commitment. It’s all or nothing. He wants our full and exclusive allegiance. In common with Paul’s advice to Timothy, we’re to flee from the things of the world and fight to take hold of the faith and life we have in Christ (cf. 1 Timothy 6:11-16). Which brings us to radicalized Bible engagement. To embrace the Word, which is to embrace the One who is the Word, should be to radically receive and respond to the Word. It’s being all into Him and all out of the world. Bible engagement should be nothing short of giving our total allegiance to the kingdom message and mission of Christ. It should never be a little bit of this or a little bit of that. Radicalized Bible engagement is putting to death every word of darkness and fully immersing ourselves in the Word that brings light. It’s separating ourselves from the lies and half truths that have held us captive. It’s giving our undivided devotion to Christ and choosing to live in resurrection power. It’s appropriating His grace and denying ourselves in order to fully love Him. And it’s being a willing conduit through which His love flows to those in need. Radicalized Bible engagement is unlike the regular way Christians usually connect with the Bible. It’s also more than a new methodology or approach to reading/hearing the Word. For radicalized Bible engagement is an uprising. It’s saying no to legalistic, guilt fueled, shame based, fear driven religion. 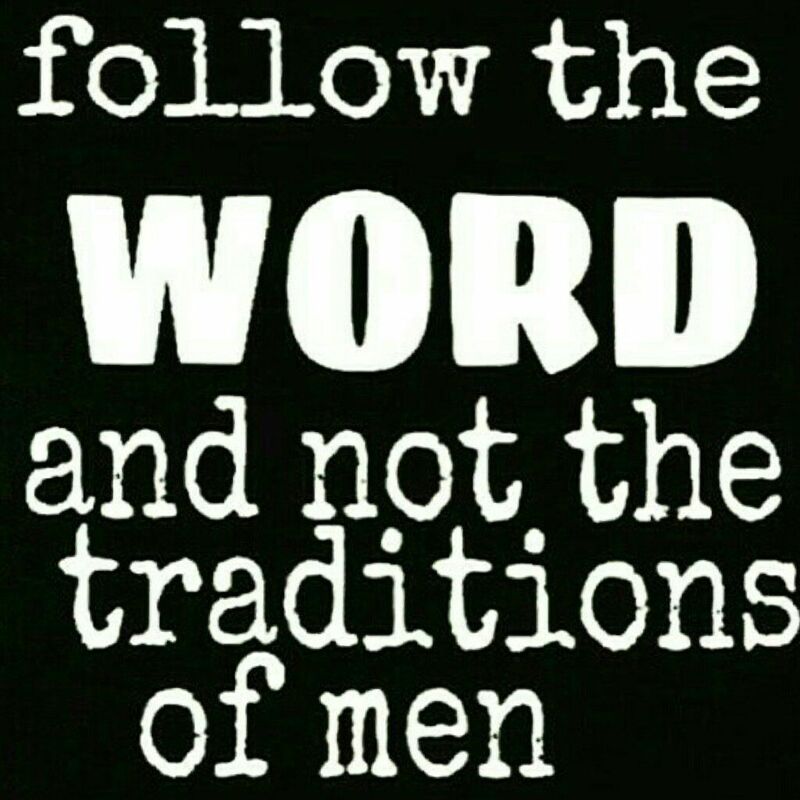 It’s connecting with the Word as something more than knowledge to be gleaned or morals to be emulated. It’s letting the Word read us, and as it does, it’s humbling ourselves and crying out for mercy. Radicalized Bible engagement isn’t for the faint of heart. It’s about being all in. There can be no half measures. It’s encountering the Word in ways that enable us to fully worship, work and witness in order to bring all honour and glory to Him. When Bible engagement isn’t radicalized we need to change. The ways in which we’ve read, reflected, remembered and responded to the Bible in the past cannot continue with us into the future. Why? Because what got us where we are won’t get us to where we need to be. Or, stated slightly differently, if what we’re doing now in our Bible engagement practices doesn’t result in absolute commitment to Jesus Christ and extreme transformation in our lives, then we’re not reading/hearing the Bible as we should. Jesus said, “If anyone loves me, he will obey my teaching” John 14:23 (NIV). When we’re not reading/hearing the Bible as we should, a complete overhaul of what we’ve been doing, or not doing, needs to happen. Now that’s not to say that embracing Christ through radicalized Bible engagement will be plain sailing. Far from it! Radicalized Bible engagement places us at odds with the world’s values and choices. God’s Word is, and always has been, an offense to those who are not Christians. Whether we like it or not, when we choose to live out our love for Christ through total obedience to His Word, there will be negative reactions, opposition or persecution. And herein lies the tension. Some Christians don’t like the fact that God’s Word is an offense (cf. 1 Corinthians 1:23-25, 1 Peter 2:8) to those who don’t know or love Jesus. So they try to mitigate the offense by watering down, creatively excusing, or falsely interpreting the Bible’s message. When this happens, the weakening of the Church and the death of faith follows. For every attempt to take the offense out of God’s Word always results in the loss of the saving and transforming power of the Gospel. So let’s be all in! Let’s forsake lukewarm Bible reading/hearing. Let’s break with our loyalties to the systems, entanglements and distractions of the world. Let’s renounce the fears and failures that control and restrict us. 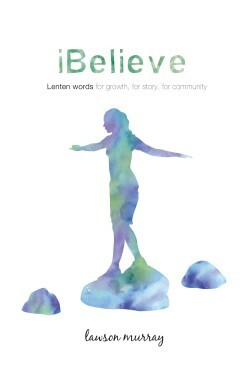 And let’s do this by praying for a Jesus revival in our personal lives and communities of faith. Then, as we pray, let’s subversively reclaim Bible engagement as something more than it’s been by asking God for a form of Bible engagement that results in extreme devotion and absolute allegiance to Jesus Christ as Lord of all and Lord for all! Categories: Interaction | Tags: Bible engagement, Radicalized Bible engagement | Permalink. The problem with the emphasis of some of today’s Bible engagement teaching is that stress is laid on how often we connect with the Bible and whether or not these connections impact what we think, say and do. Or to say it differently, the problem in some local churches, Sunday School classes and Bible agencies is that the underlying agenda is to get us to read/hear the Scriptures so that we’ll gain spiritual insight and understanding that results in submitting to and obeying God’s Word (i.e. acting in accordance with biblical morality). Now hear me out. I’m not saying that we shouldn’t engage with the Bible regularly. Nor am I saying that the Bible shouldn’t influence how we live. Far from it. But what I am saying is that when the emphasis in Bible engagement is on regularly reading/reflecting on the Bible and ordering our lives according to biblical morality, then we have a problem. It’s a problem because in and of itself, it’s legalism. You see, we’ll struggle to interact frequently with the Bible and live righteous lives if we aren’t first taken up completely with Jesus. I don’t say that lightly. The focus in Bible engagement must always be on how wonderful, amazing and magnificent Jesus is – nothing less and nothing more! Now why do I say that? Why should Bible engagement be first, foremost and always about Jesus? 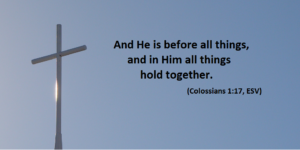 Because in Jesus “all things (including Bible engagement) hold together” Colossians 1:17 (NIV). Here’s the rub. When Bible engagement isn’t always about Jesus, our reading/reflecting on the Bible will be done mainly out of guilt or duty and fueled, not by love, but by fear, shame or self-serving ambitions. And when our Bible reading/reflecting is done out of guilt or duty we usually dry-up or fizzle out. That, or our hearts grow progressively colder and more judgmental – holding to the letter of the law and condemning those who don’t obey God’s commands. First things first. Bible engagement should always be Jesus engagement. Bible engagement is seeing His glory, knowing His grace, and growing in Him. From beginning to end, the Bible is a window through which we look to see Jesus. So when we read/hear the Bible it’s about opening our eyes and ears to His unbridled compassion, His inestimable salvation, His unstinting care, His extravagant provision, and His infinite mercy. When we don’t get Jesus first, we’re in trouble. There’s no polite way for me to say this, but when the emphasis is on the regularity of Bible reading/hearing and the importance of moral outcomes, it creates modern-day Pharisees. Bible engagement without Jesus is a heavy cumbersome load. When it’s about keeping score of how often we read the Bible or how many right choices we make in a day, we’ve missed the mark and will always miss the mark. That’s because Bible engagement, according to Jesus, is less about what we do (or not do), and more about who He is (cf. John 5:39). At the risk of repeating (albeit in slightly different words) what’s already been said; loving Jesus should never be absent from our Bible engagement. The measure of Bible engagement is whether we are, or are not, meeting with Him. When we read, reflect, remember and respond to the Bible we must do so in a way in which we’re constantly recapitulating our hearts to Jesus and inclining the content of our lives to Him. That’s when Bible engagement takes on a life of its own. So here’s to reimagining Bible engagement. Let’s read/hear the Word as an encounter with the One who is the Word. For when we meet with the One who is the Word, the rest falls into place. That is, when the priority in Bible engagement is connecting with Jesus and abandoning our lives to Him, that’s when we’ll be committed to regularly reading/reflecting and obeying His Word. Categories: Interaction | Tags: Bible engagement, Jesus engagement, Legalism | Permalink.